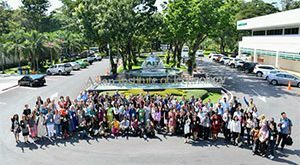 The Embassy of Sweden in Bangkok, Thailand has contracted Women Organizing for Change in Agriculture and Natural Resource Management to be a Regional Gender Equality Support to the Embassy´s development cooperation partners for the implementation of Sweden’s development cooperation in Asia. 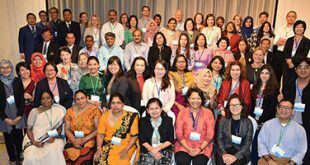 The Gender Support Function was launched on 19 January 2017 with active participation of SEAFDEC’s gender focal points and experts. To step up the gender equality knowledge and training to the decision-making level in SEAFDEC, Dr. Kom Silapajarn – Secretary-General of SEAFDEC, Dr. Magnus Torell – Senior Advisor to SEAFDEC, and Dr. Worawit Wanchana – Assistant Policy and Program Coordinator joined the Gender Equality Training for senior management staff, held on 23-24 March 2017. The overall objective of this training was to improve the institutional and organizational capacity of Sweden’s partners’ senior management staff to integrate gender equality in the workplace and strengthen integration of gender equality in program implementation to develop the essential enabling organizational environment through which gender responsive development can take place. 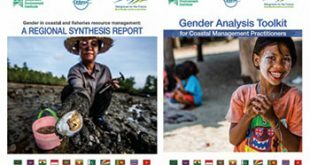 The key output will be the development of Gender Action Plans for SEAFDEC.